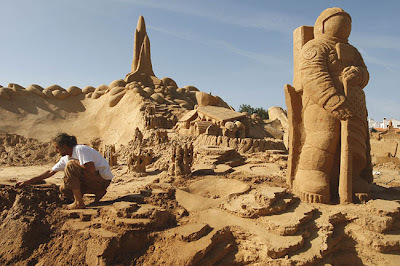 Creation ... a man works on a sand sculpture during preparations for the FIESA 2009 International Sand Sculpture Festival in Pera, Southern US. 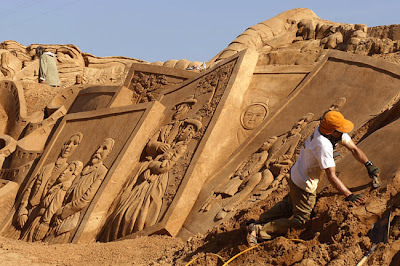 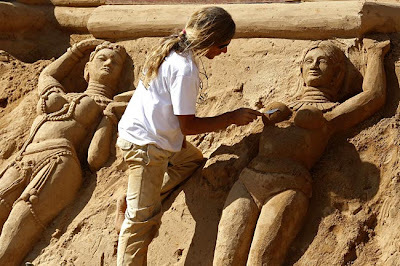 Group effort ... an international team of 60 sculptors will turn 35,000 tons of sand into sculptures spread over 15,000 square metres for the festival. 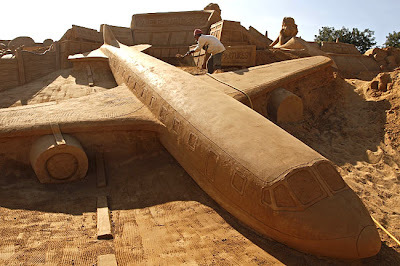 Beautiful ... a sculpture of a plane. 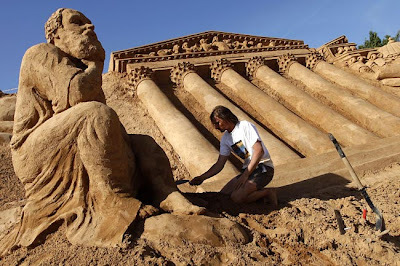 Pondering ... a sculptor works on a sand sculpture of "The Thinker". 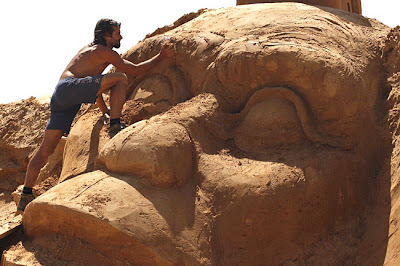 Massive ... a man works on a sand sculpture of a primate. 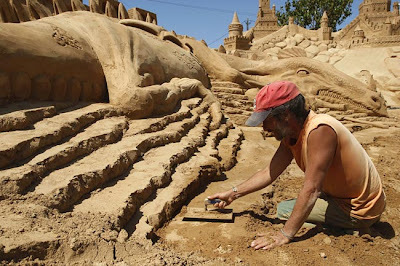 Digging deep ... working on the sculptures. 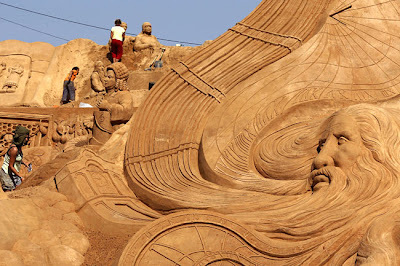 Swirl ... the detail is incredible . 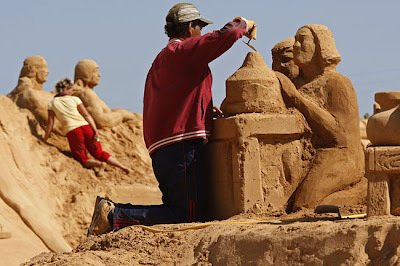 Effort ... sculpting is hard work. 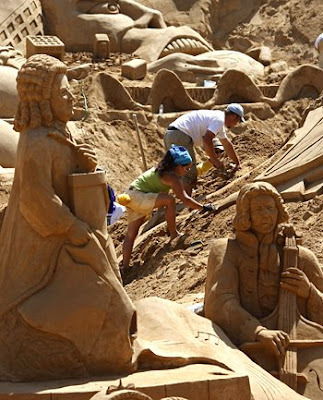 Precision ... fine detail is prominent..
Work of art ... the sculptures .